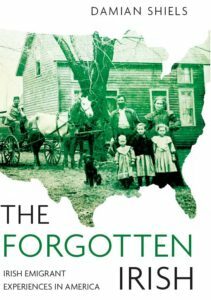 The Irish in the American Civil War featured on RTE Radio One on Sunday last. The programme began with a piece on the Irish American Civil War Trail with which I am involved, and continued with a discussion between presenter Myles Dungan and myself on the trail and some of the stories covered in my book. If you are interested in listening to the programme it has been podcast; the American Civil War discussion begins at six minutes five seconds and can be heard here.